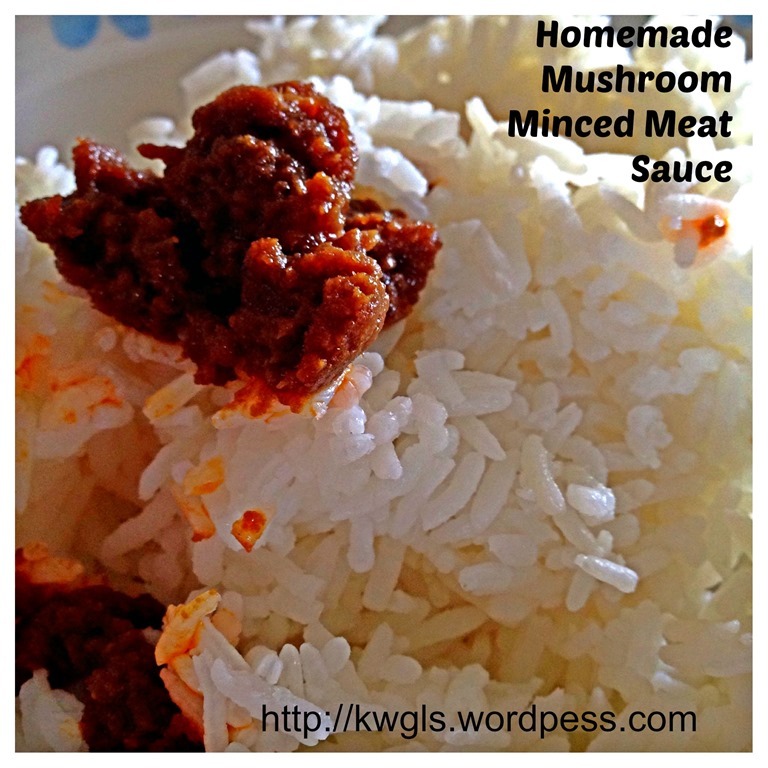 After my father passed away, we usually bought the canned minced meat sauce from the stores… We liked to have it with porridges as it has the perfect balance of sweetness and saltiness.. .. When I was a teen and if there was a picnic where we were required to bring food for lunch, we prepared sandwiches with this canned minced meat sauce. As a growing teen, nobody ever complained about this simple yet delicious sandwich. 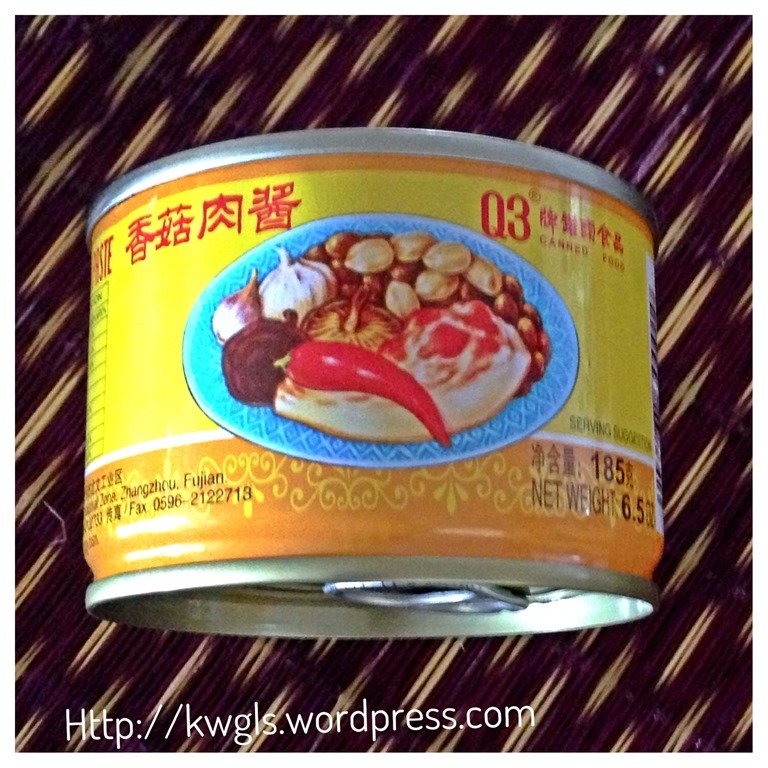 Though it is a tasty condiment to go with porridges or rice, we seldom purchased from the stores as it is generally not encouraged to have too much canned food..Therefore, I have decided to prepare it myself. 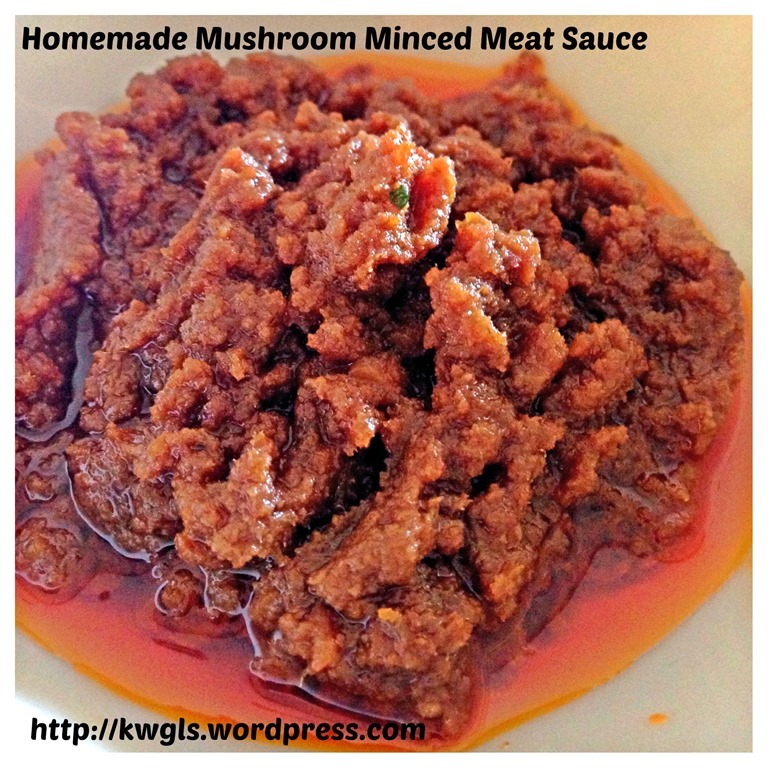 Initially, When I prepared, I have used the traditionally method of chopping the meat into fine pieces. 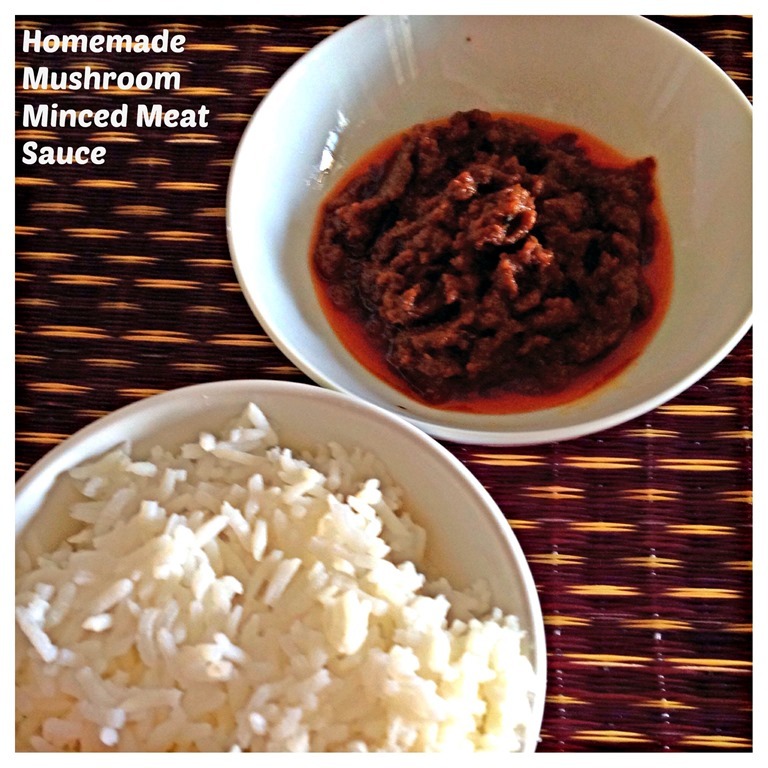 However, after my first round of cooking, I found that the meat is rather course as it was quite lean, therefore, I have used a food processor to blend the cooked meat and make it finer. 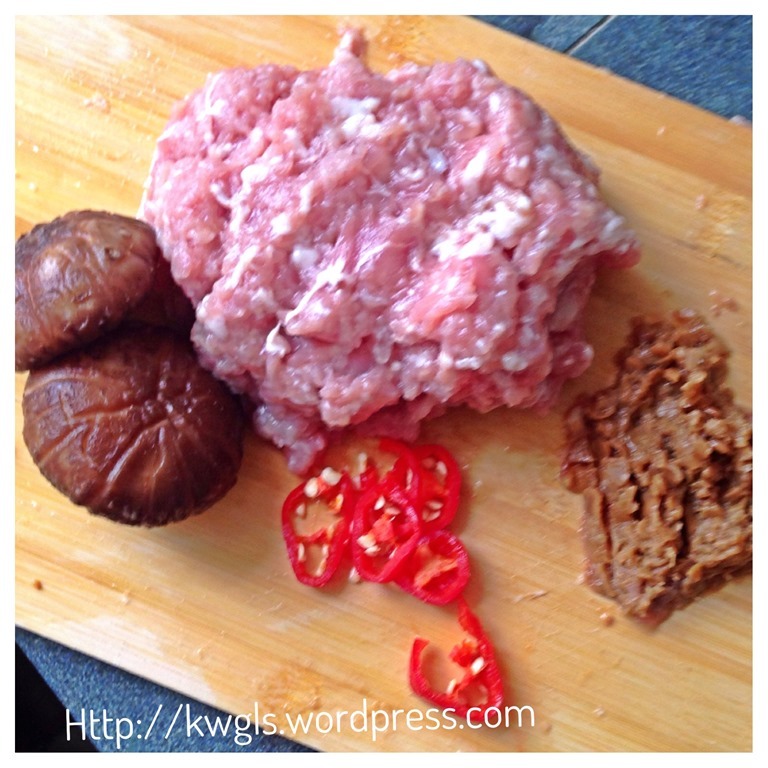 However, if you wish, you can blend your mushrooms, minced meat, fermented soya beans and chilli separately rather than traditional way of chopping using a knife.. Remember for this step, you can either dice/chopped using a knife or using a food processor. In this illustration, no food processor was used and therefore there is a need to re-blend the cooked meat paste at the end of the illustration. 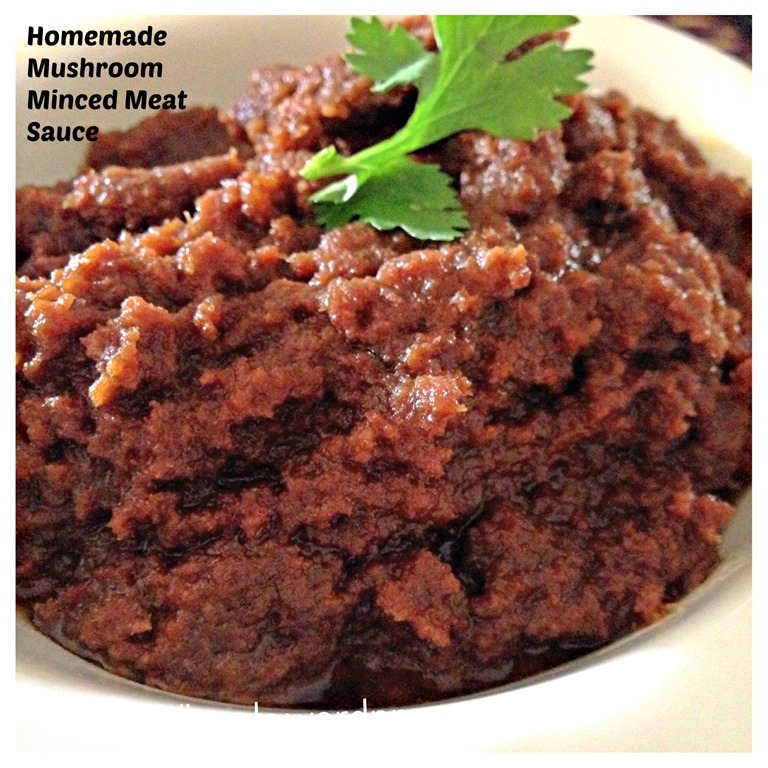 Chopped/blend the fermented soya beans, and mushrooms separately until very fine. 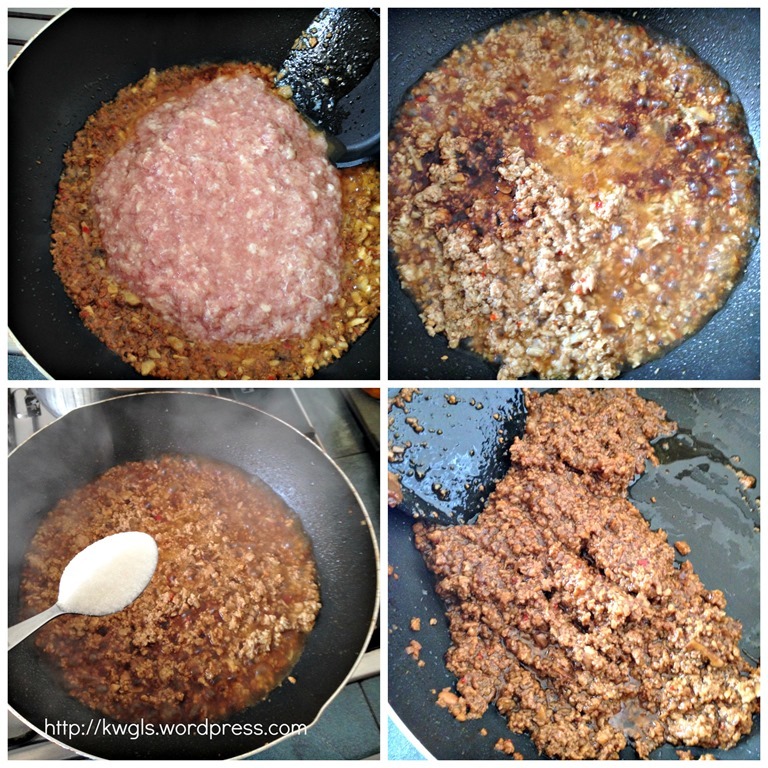 Mix the minced meat with water just enough to cover the meat. 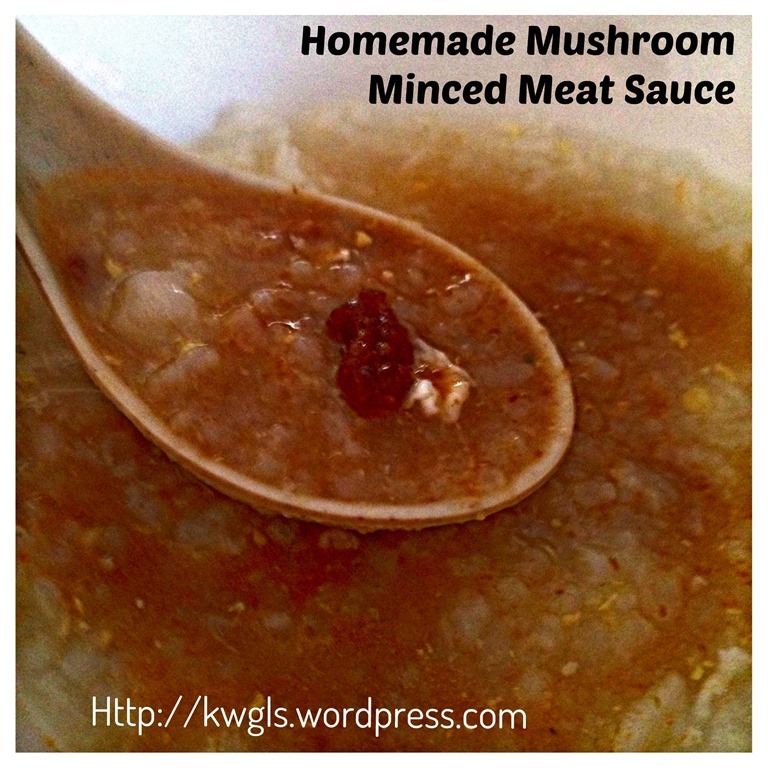 The purpose is to prevent the minced meat from forming lumps when cooked. In a frying pan, put the cooking oil and stir fry the fermented soya beans, mushrooms and chilli until fragrant which took 3-4 minutes. Add in the minced meat and continue to stir fry. In this process, the meat will start to secrete the meat juices. Let it simmer for 10-15 minutes until it dries up. Before it dries up, add the dark soya sauce, sugar and sesame chilli oil. Stir fry until well combined. 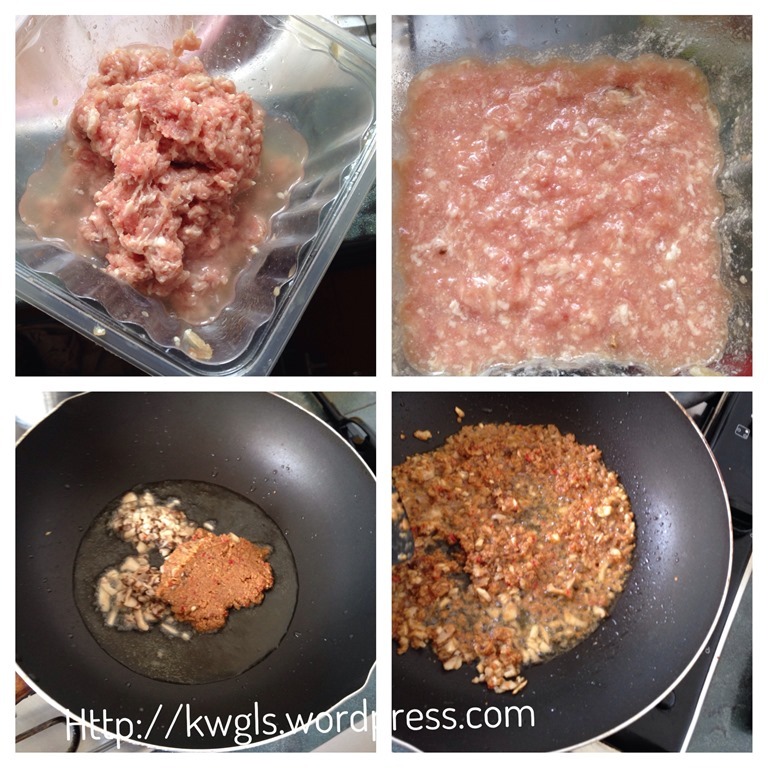 This is the minced meat without the use of blender. In order to make it finer, I have transfer it to a blender and blend until fine. As it can be rather difficult to blend without some water, I have added some water to facilitate the blending. 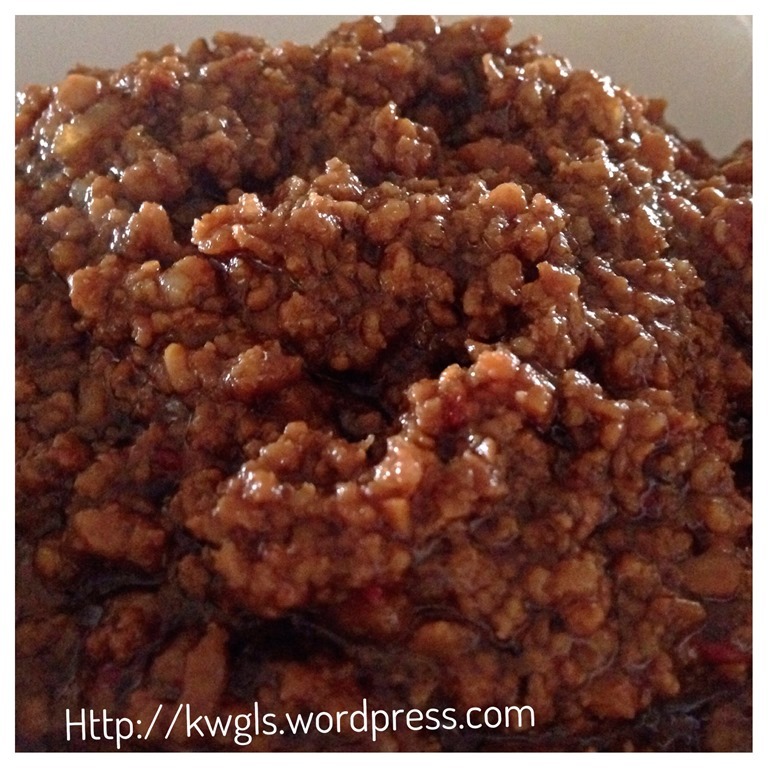 Therefore, I have to transfer the minced paste back to the pan for further stir frying until it dries up. 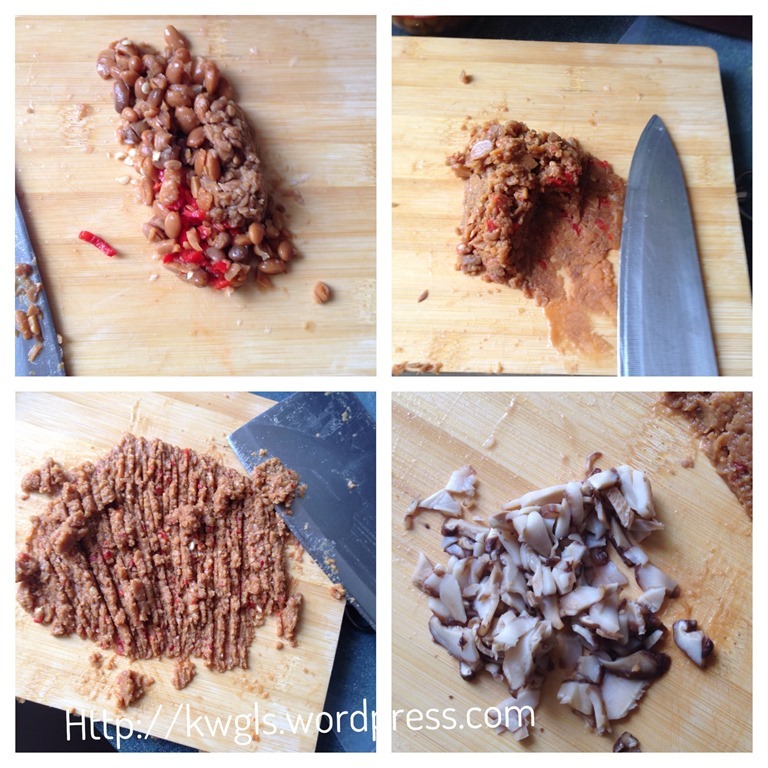 REMEMBER: IF YOU USED YOUR BLENDER TO MINCE THE MEAT, FERMENTED SOYA BEANS, CHILLI, AND MUSHROOMS, YOU WILL NOT NEED TO DO THE STEPS AS STATED BELOW. 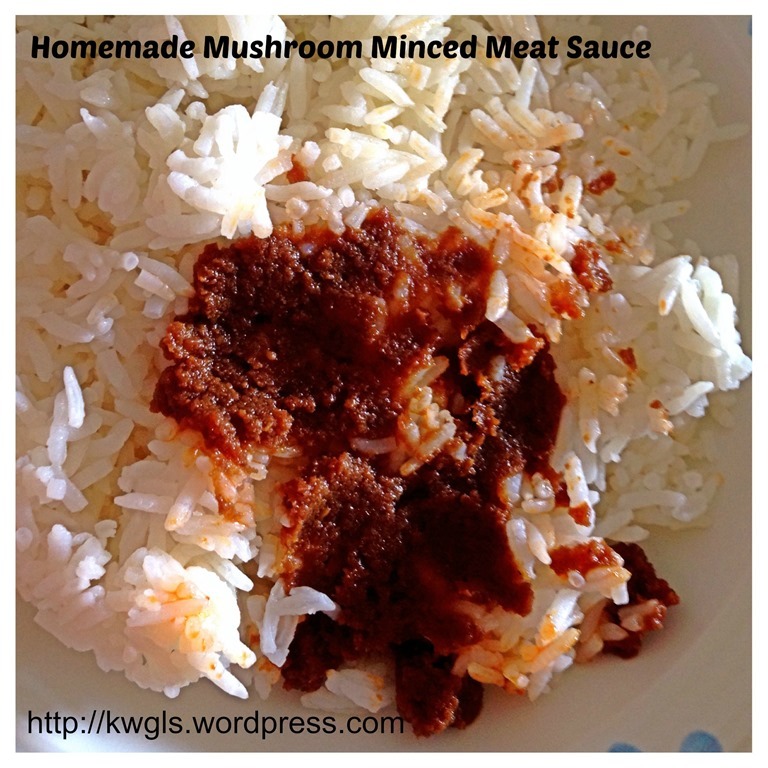 The cooked meat sauce will be the same as in the illustration picture below. 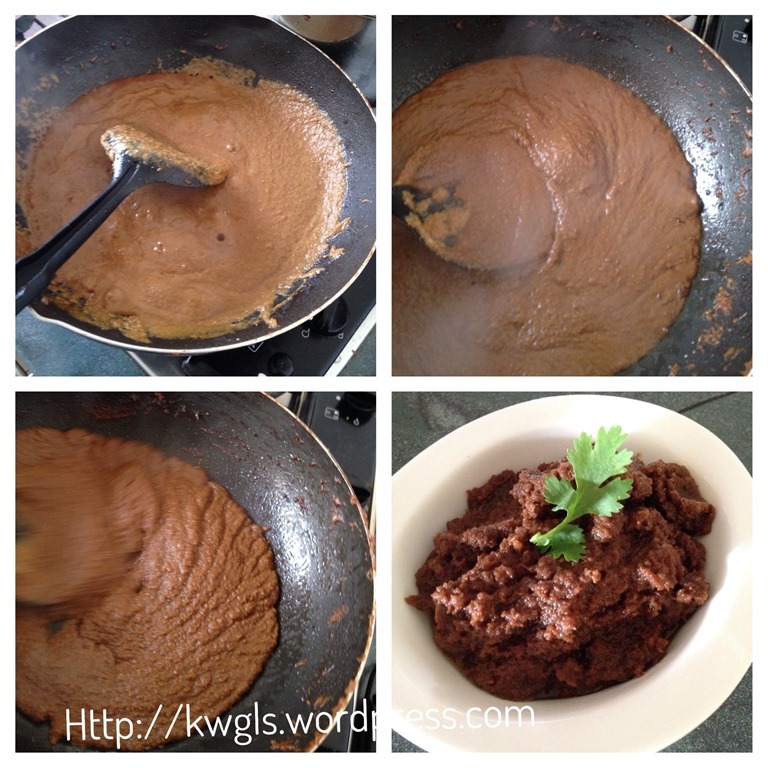 Transfer the blended meat sauce back to the frying pan and stir frying under low to medium heat until the water dries up. 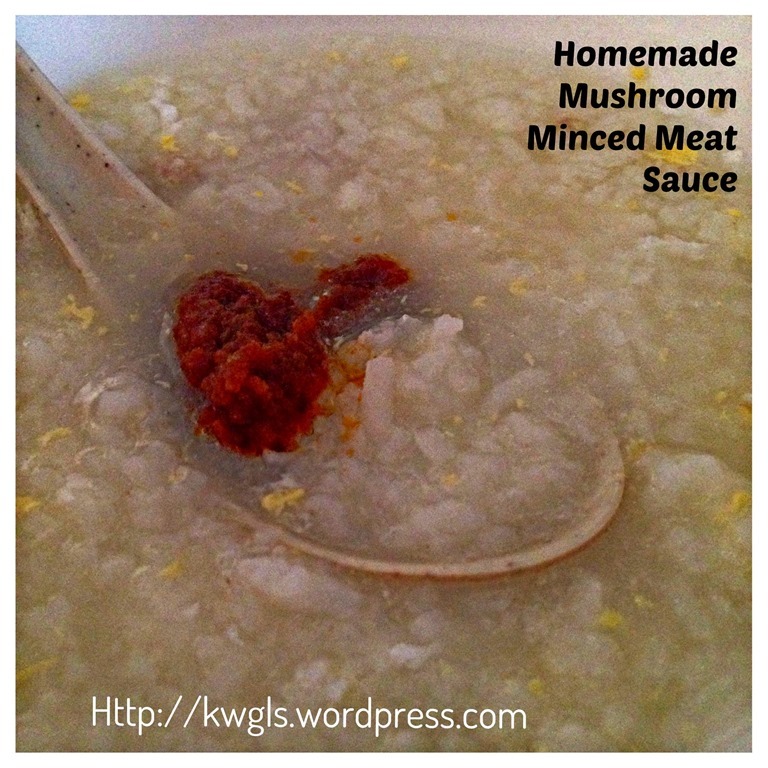 Best served as an condiment to go with white rice and white porridges. 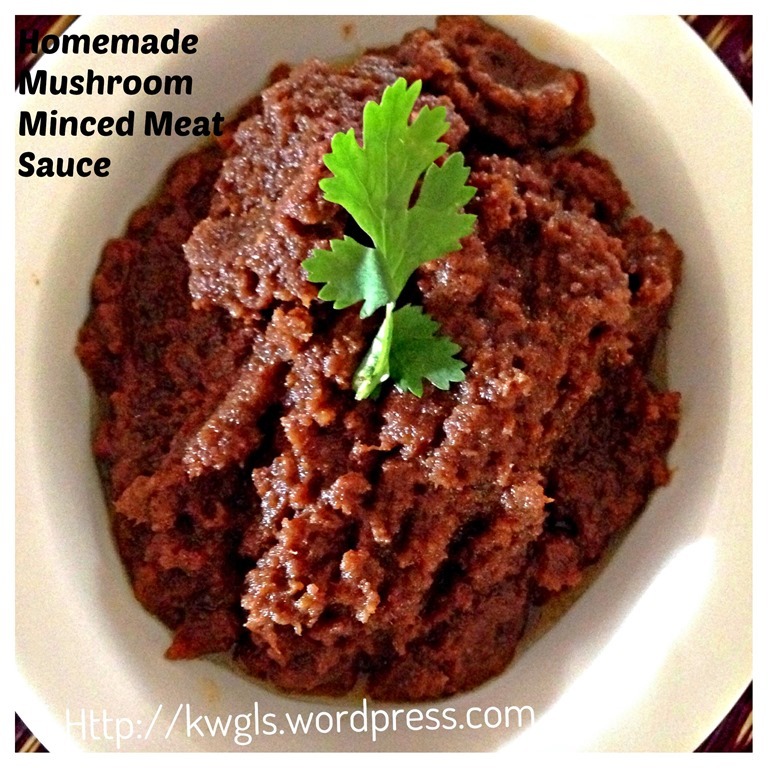 I believed most readers have tried this type of canned meat sauce. As this is a savoury dish with a twang of some sweetness, the measurement is for your reference and what I have stated here is those that suit my family’s taste buds. I would encouraged readers to test some meat sauce, adjust accordingly to suit your family’s taste buds before turning off the heat. RECIPE INDEX (updated as at 10th February 2014) here and you can follow me at PINTEREST or visit this blog’s FACEBOOK PAGE . 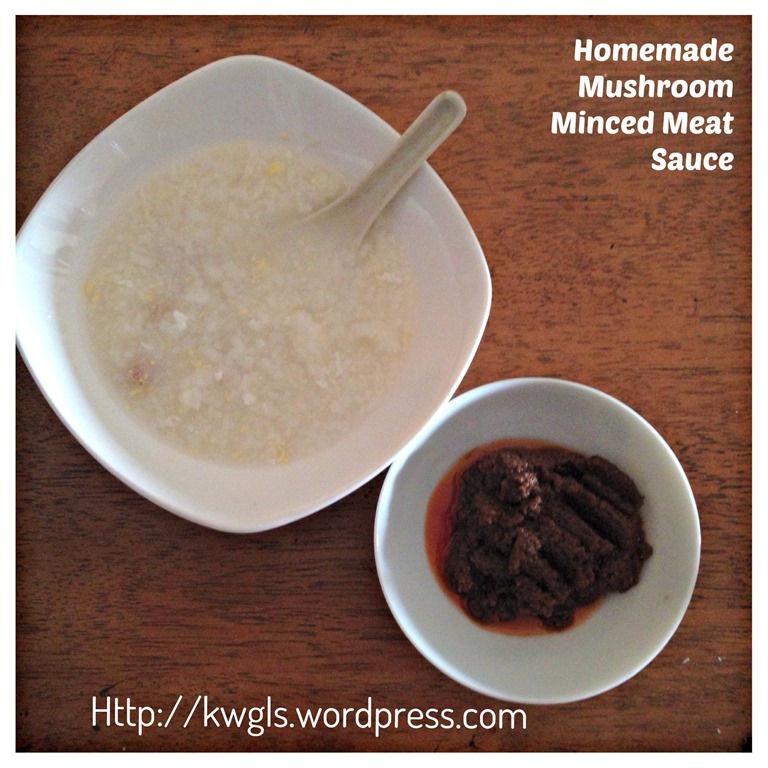 This entry was posted in Food Preparation Series, Sauces and Pickles and tagged 8, bak cheo, 香菇肉酱， Pork minced with bean paste, GUAI SHU SHU, Guaishushu, kenneth goh, Mushroom bean paste minced meat sauce, postaday. Bookmark the permalink.